Our amazing growing baby has been accepted into to the fetus-club, a very exclusive and exiting new stage in their prenatal development. 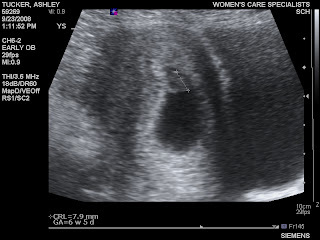 Basically, this means the little sweet pea has graduated from swimming embryo creature to a recognizable human being! This week in particular, the irises of their little eyes can function, but (frustratingly for them?) their eyelids remain fused shut for a while yet. Their external ears are formed and their inner ears are now filled with fluid—so our little one is already developing their sense of balance. 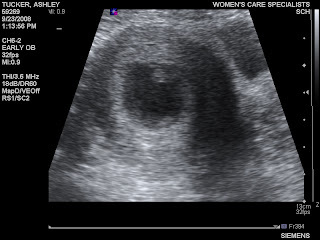 Our baby's little swimmer legs are still relatively, although other bodily developments are going forward at a nice pace: their kidney is actually functioning now, which means they’ve started urinating (this might seem charming now but wait till we have to start buying diapers!). As I think of the growth of our little one, it is so amazing to think of how fast they grow, in the womb and out. I know that we'll never be able to take a day for granted because the days of our child being a baby, will only be for a little while. Then that baby becomes a toddler, and eventually a big boy/girl going to Kindergarten...I don't think I'll survive that!! I can't think of that now I suppose. We are just beginning our journey together and I need to cherish the moments I have with my child right now in the womb, as well as when he/she is born and in my arms! I have felt good today. I can't seem to get enough to eat. Everytime I finish one of my "six small meals" my tummy automatically starts growling like I haven't fed it already!! I guess the baby is relaying messages that it wants more to grow on. Haha. I haven't had any headaches recently like I did in weeks 5-7; so that I am very happy about. The nausea hasn't been a major factor today as it has the past few days. I'm hoping that will begin to phase out! But if it doesn't, it is for a good cause. I will do anything for this baby! Yesterday was not a good day for me! I woke up feeling fine and decided to eat a bowl of cereal. Needless to say, it didn't stay down very long. I was unable to eat or drink anything until Sunday evening. I don't think it was related to morning sickness. It felt more like a stomach virus. But I've been told it could be morning sickness. Let's hope that I don't have to experience that anymore!! After the doctor's appointment we went by to see my friend, Molly and her new baby, Kaden. He was born on Monday, Sept.22 at 7 lbs. 15 oz. He was beautiful! I finally got Butch to hold him for a little while. He needs to get used to it! The baby's heartrate was 147 beats per minute! Oh wow! I never thought I would ever be so speechless... but let me back up. Ok...Butch and I went to our first doctor's appointment today. We were scheduled for the ultrasound at 1:00 pm. Well they told me I would have to drink 32 oz. of water about 30 minutes before my appointment. So on the way there I'm drinking all this water and thinking "I'm going to have to pee so bad!" Well we arrived at the appointment a little late, but they didn't seem to mind. So they took us back in this dark room and told me to lie down. The nurse then put that warm gel on my tummy and went to hunting for the baby. (or that's the way it seemed to me..haha). She found our little miracle and my eyes were filling with tears. He/she looks like a little peanut right now, but hey, that's my little peanut! 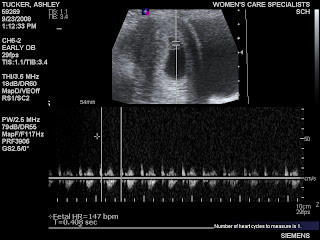 She then said she was going to see if we could hear the heartbeat. So Butch grabbed my hand and I immediately started praying that we would...then I heard the most precious sound in the whole entire world....our baby's heart beating so fast. It makes me cry just to think about that moment. The world stopped and I knew nothing else existed at that point. It was the most awesome experience I have ever had in my life. After those wonderful moments we had, we then had to go meet the doctor that would deliver our child. Her name is Karla Kennedy. She is so wonderful! I loved her from the first moment I met her. She made us feel very comfortable and willing to do what WE wanted. We talked for a while, then I was examed and was told that everything looked great. Then I had to get blood drawn for some tests they were going to do. We did get some free stuff - and who doesn't love free stuff??? So needless to say, we left the doctor feeling so proud and anxious for the next 7 months. Oh yea, My DUE DATE is May 9, 2009 FOR SURE! Woohoo! Well as some of you may know, we are expecting in May. We are so thrilled about it. Our first doctors appointment is Sept. 23 at 1:00. They are going to perform an ultrasound and we are hoping to be able to hear the baby's heartbeat. My parents are super thrilled and have already bought baby outfits on their trips to Walmart - well ok...it's more my mom that does the shopping, but my dad is very excited too! When we told them the wonderful news it was the day before Grandparents Day and we gave them both a card that had a little note written inside that said this: Happy Grandparents Day, Baby Tucker is on the way! They both were so surprised. My mom started screaming with a high pitch that you've never heard before and there was lots of hugs shared. The next day, my brother came to our church service and we went out to eat and I had made a card for him as well that read: You're going to be an uncle! You have a niece or nephew on the way, Some time in May, YAY! He looked up and said "I'm going to be a WHAT??" And of course, I said "AN UNCLE!" He has been very happy and outspoken about the fact that he wants it to be a boy! It's been a very wonderful month full of exciting news to be shared with loved ones and friends. And I'm looking forward to the next 7 months and letting you be a part of the journey.